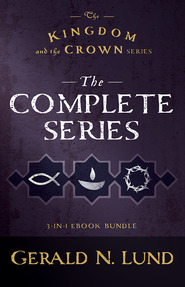 The complete Work and the Glory series is now available for the first time in one eBook. Follow the Steed family on their incredible journey from New York to the Salt Lake Valley. 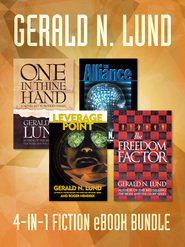 Author Gerald N. Lund here masterfully weaves together historical reality and high-powered fiction. In his hands this combination seems to make the reader an eyewitness to the early scenes of the Restoration, thus deepening one's understanding and appreciation of those momentous events. 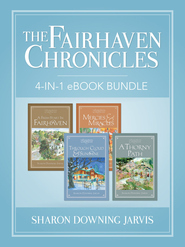 The well-drawn plot and fictional characters present a moving, gripping story. Here are Benjamin and Mary Ann Steed, devoted to each other as man and wife, yet at odds over religion; Joshua, their volatile son, who rebels and heads for trouble; the sensitive Nathan, their second son, in whom Joseph Smith's message strikes a responsive chord; the beautiful Lydia McBride, who captures the hearts of both Joshua and Nathan. Please note: This is a large eBook file. It will take some time to download onto your Bookshelf account. Page mode does work, but scroll mode is the preferred setting. The ebook version does NOT have the end of chapter research information that the paper books have. VERY disappointed and wish I could get a refund. Thought I had ordered the audio set! I don’t see so well anymore so this is worthless to me! I’m sure it’s great, I just can’t use it! The Author did a really great job. 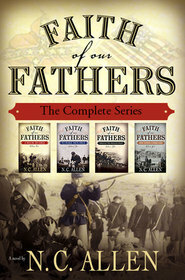 I just finally finished this entire series, after a couple moves and delays, but I recommend it to every member of the church and anyone else interested in LDS Church History. Brother Lund spent a decade researching the information he included in these books, so I don't think you can get these kinds of facts and true stories altogether in one source anywhere else except the Church Libraries in Salt Lake! I learned SO MUCH about church history in a way that was entertaining and moving. I felt very attached to both the fictional and real characters. I fought reading this for years and am so glad I finally gave in. I read all 9 books, back to back, without a break. The best part was that the author separated the fact from fiction at the end of each chapter. Definitely worth reading. These books are such a wonderful series. 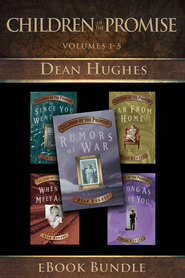 They are easy to read and if you are new in the Church they are an easy way to learn about some of the Church history even though they are FICTION. They have a lot of historical facts to them and you can learn a lot. I absolutely LOVE this series. I have read and reread it at least 3 times. 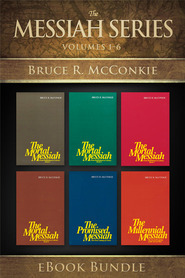 This series is a wonderful story/history of the church. You will love it!